Is Ma’alot having a great summer? Is the Pope’s hat an accessory that I’ve always secretly desired to wear? The point is, It’s obvious from their faces and their ruach that they’re having the purrfect Meowlot summer. 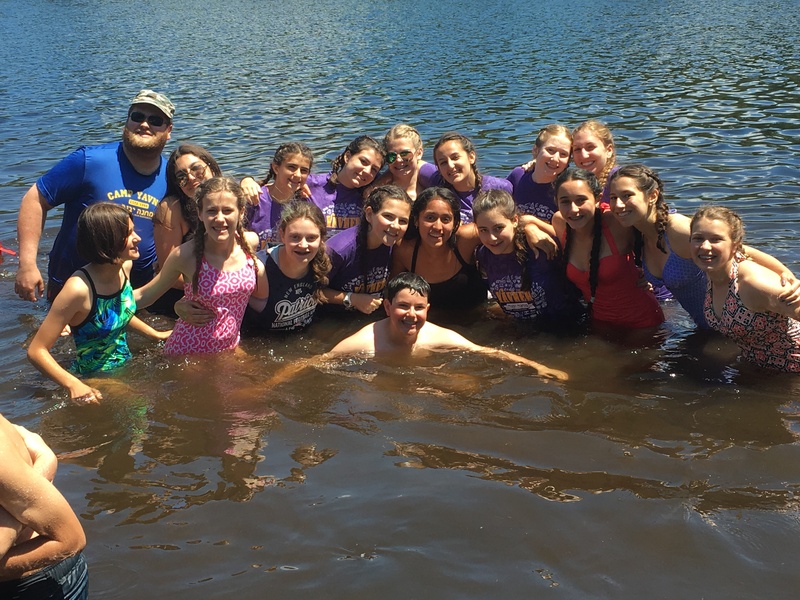 Ma’alot is having the time of their lives this summer and I wanna tell you about it! We pick up our story on July 4th. Because of the intensity that was July 3rd, Ma’alot had a chiller afternoon with some כדורסל (basketball) and American themed line dancing. A dinner of fried chicken helped us transition into our peulat erev (evening activity), where all of older camp got to watch the American classic Shrek. As we drank popcorn and ate soda, it truly felt like a Shrektastic evening. Tuesday brought our first אחלה יום (literally meaning “awesome day”, our weekly trip day)!!! We woke up at an arduous 6:45 to get in some tefillah (prayer) and ארוחת בוקר (breakfast) before heading to Franconia State Park and its peak: Lonesome Lake. The hike brought us all closer a nd the water made us all wetter, and it was amazing. We played games and laughed the whole time. As we came back to our barbecue, the חניכים (campers) were surprised at our peulat erev: a מדורה (bonfire)! We sat around and ate s’mores as we went through a structured activity, everyone responding to questions about our identities, our lives, and our futures. The next morning roused us with Rosh Chodesh (the new Jewish month! This month is Tammuz) as the chanichot (female campers) had a special tefillah to celebrate. Which reminds me: the chanichim are stellar meltzers (waiters who serve food and keep the chadar ochel clean) and have been rocking the house all week! As they went through the normal morning schedule of kitah (class), Ma’alot peulah (our daily meeting for team building and fun), and chug (elective), the chanichim marveled at their ability to feel comfortable in their new schedule. After a lunch of pizza, the chanichim got to play on the kangaruach (a giant inflatable trampoline that is new this summer), play on the Agam, while some of the חניכים trained to be matzilim (life guards), and went down the slip n’ slide! It was a blast to say the least. To say the most would take millennia and exhaust the universe of its entropy. So I won’t do it. The last thing I want to tell you all about is our Gurim (youngest aydah in camp) buddies! Part of being in Ma’alot is being paired with a Gurim buddy (or two or three for some of our חניכים) and doing fun activities and projects with them. The banot (females) had a fun Slip n’ Slide adventure with their buddies, and the banim (males) played some soccer together. Looking forward to updating you again soon with more news of the חניכים actualizing their potential and becoming leaders! !